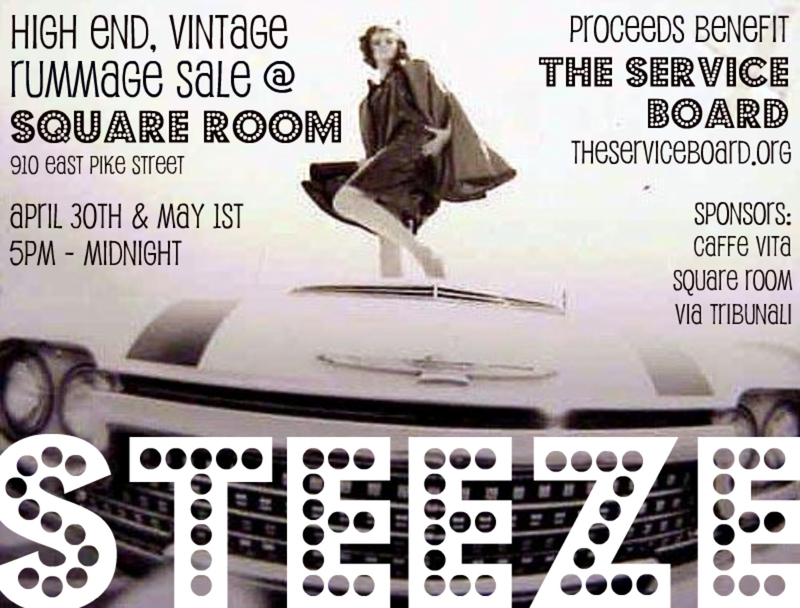 This Friday and Saturday night the Square Room (910 E Pike) is hosting a high end rummage sale to benefit tSB! Come update your wardrobe for a good cause. Special thanks to Square Room, Caffe Vita and Via Tribunali.